International Wallpaper week with Graham & Brown. Did you know that 3rd - 10th October was International Wallpaper week? With this is mind we were recently contacted by the fabulous people over at Graham and Brown and asked if we would like to use their products to make over a room for international wallpaper week. 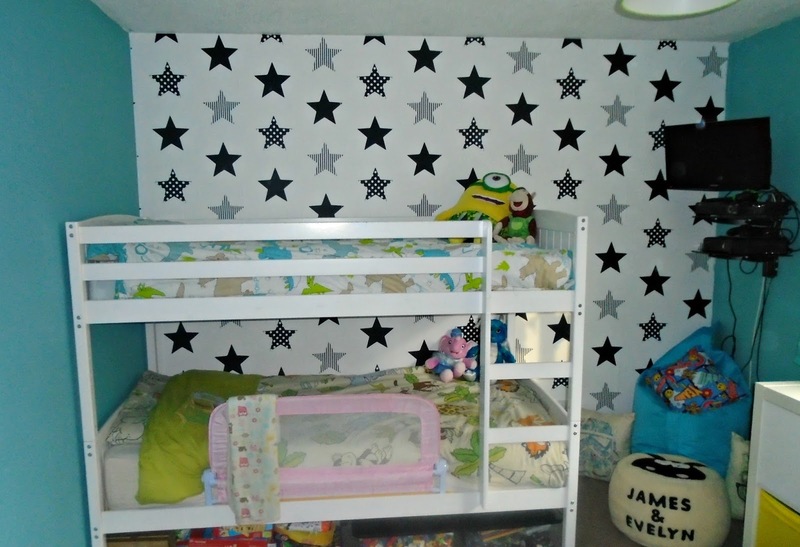 As it would happen we had recently stripped all the old wallpaper from James and Evelyns bedroom ready to decorate so we jumped at the chance to be able to decorate it with Graham and Brown. After some time spent looking through the Graham and Brown website (there are so many lovely wallpapers and paints to choose from), I eventually decided on these. 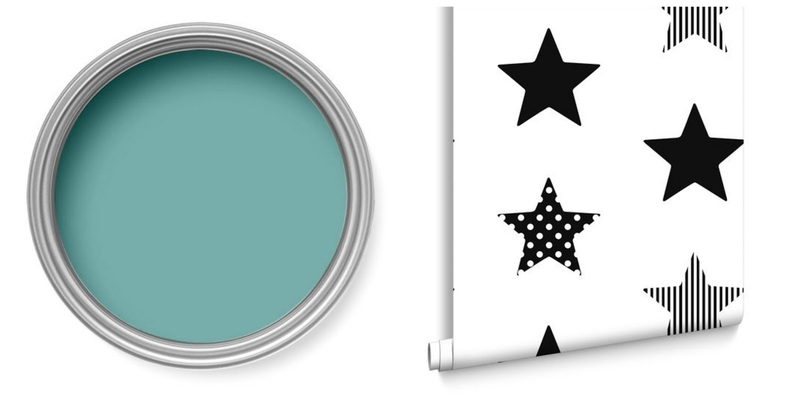 Paint in the shade "Mermaid" and this funky monochrome "Superstar" black wallpaper. Since Evelyn and James share a bedroom I wanted something that wouldn't feel to gender specific and think these colour work really well. The paint was lovely a thick and went on really well. It meant as we had white walls underneath we only needed one coat and it provided a really good coverage. Next up we had the wallpaper to apply. Now neither myself or my husband are decorating experts and we were a little nervous about putting up wallpaper. However the Graham and Brown "paste the wall" wallpaper made it super easy to do. 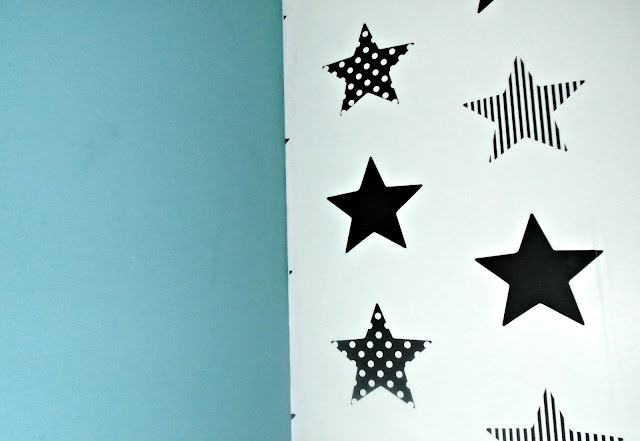 The wallpaper is a great quality meaning it makes it so much easier to put up and hard wearing when up. The print itself is really bold and stands out against the teal colour of the walls and the white furnitue which I love. Why not get inspired like us by International Wallpaper week and see if you can transform a room in your house with wallpaper. It could be a whole room for maximum impact or why not have a feature wall like us and make it a real wow factor. Its amazing how much difference having wallpaper in a room can make, giving it a real personality and focal point. If you want to check our more of the paint or wallpaper available head over to the Graham and Brown website and prepare to want to decorate! I love the combination of the wallpaper with the colour of paint you choose. It looks fabulous!